David Deveau, pianist, Senior Lecturer in Music and Theater Arts, and Artistic Director of the Rockport Chamber Music Festival (now Rockport Music) appears on Channel 5 in a show about the Shalin Liu Performance Center, Rockport Music's new venue. Deveau's leadership over the past decade was instrumental in creating the Center, which opened in June 2010. "New England teems with modest chamber music festivals each summer, and from a distance many look attractive if not always immediately distinguishable. The Rockport Chamber Music Festival in this town 40 miles north of Boston (not to be confused with, say, the Bay Chamber Concerts in Rockport and Rockland, Me.) has just set itself apart from the crowd with a striking new home, the Shalin Liu Performance Center, which the festival inaugurated on Thursday evening to open its 29th season. 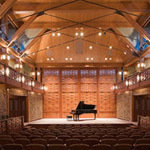 The center was designed by Epstein Joslin Architects of Cambridge, Mass., and Kirkegaard Associates, the acousticians from Chicago, whose principals...were involved in a major triumph at the other end of Massachusetts in 1994, the construction of Seiji Ozawa Hall at Tanglewood. The smaller-scale Shalin Liu Center consists mainly of an intimate 330-seat concert hall, beautiful to the eye as well as to the ear. ...To open the hall, David Deveau, the pianist who has been artistic director of the festival since 1995, chose works that in some sense related to dedications of homes. In addition to Scott Wheeler’s Piano Trio No. 4 (“Granite Coast”), commissioned for the occasion, the program included Wagner’s “Siegfried Idyll,” a paean to domesticity at his Villa Tribschen, near Lucerne, Switzerland, and Copland’s “Appalachian Spring,” which tells of a young couple setting up a household of its own. Senior Lecturer in Music. M.M., Juilliard School of Music. Acclaimed NYC debut at Alice Tully Hall, Lincoln Center. 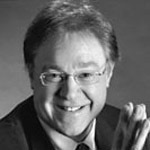 Deveau has performed extensively throughout North America and abroad.